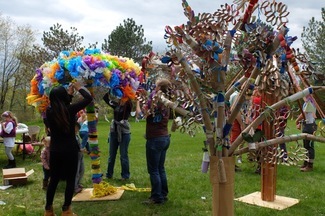 Help us celebrate our commitment to creating a sustainable community by volunteering a few hours on Saturday, May 4th at Treecycle, part of Earth Fest Warwick. You'll be guaranteed to have a fun, creative time. Thank you! Set-up of tents, activities, parking.